*DISCLAIMER* ALL PRODUCTS MENTIONED WERE PURCHASED BY ME AND ALL OPINIONS ARE MY OWN. 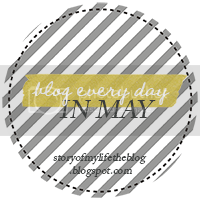 I thought I would post some of my favorite things from this past month. There haven't been many new purchases so March is a lot of my favorite, go-to beauty stand-by's. Naked Basics Palette- This is my go to, run out the door, palette. A quick brush of Foxy or Walk of Shame on my lid and Naked2 in the crease and Crave to darken my lash line and I am good to go. This was also a favorite when I was travelling a lot at the beginning of the year, it's compact and travel friendly, with a great mirror. 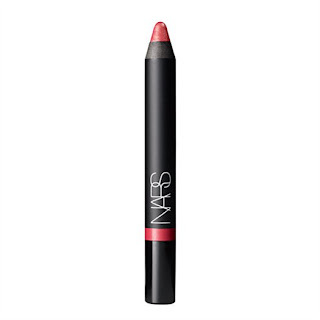 NARS Velvet Gloss Lip Pencil in New Lover- This is always in my purse, I love it as a backup for when I am running out the door and haven't really applied makeup. It is a strawberry pink color with a bit of shimmer, I would almost call it a MLBB because it adds just enough color to brighten up my face and it's a bit glossy so you know I have something on, but not much. I actually picked this up as a Sephora points perk and am glad I did. MAC Viva Cyndi lipstick- Another lippie always in my purse. It's a great coral shade that I think compliments my skin tone. It's not too much but it's my "step up" from New Lover, if I want to make more of a statement but still haven't necessarily put on makeup, and it goes well with a lot of looks in case I forgot to put lipstick on before I left the house, or was running out the door. Plus the proceeds all go to charity, what could be better? 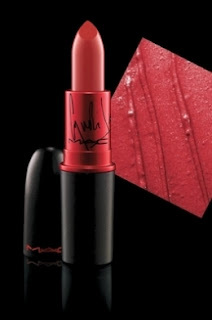 Unfortunately it was a LE shade, I will be so sad when it runs out. 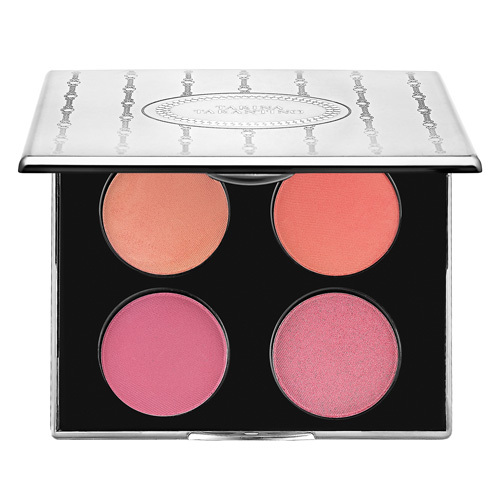 Tarina Tarantino Dollskin Cheek Blush Palette- One of my favorite travel friendly palette's, you get a choice of matte-satiny blush or a little bit of shimmer in pinks and corals. 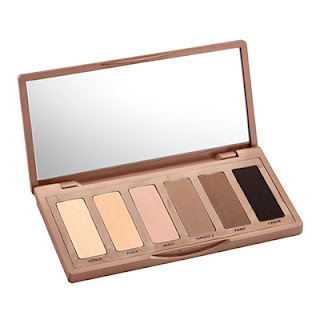 I love this palette a lot, I picked it up when Sephora was having their 40% off Tarina Tarantino Sale. 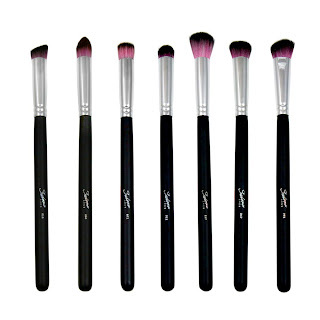 It's a great palette that includes a good majority of her blushes, all soft and extremely blendable. I definitely recommend picking up any of her products now available on her own site, Tarina Tarantino. Sedona Lace Seven Piece Midnight Set- Not much more I can say that I already have not in my review HERE. 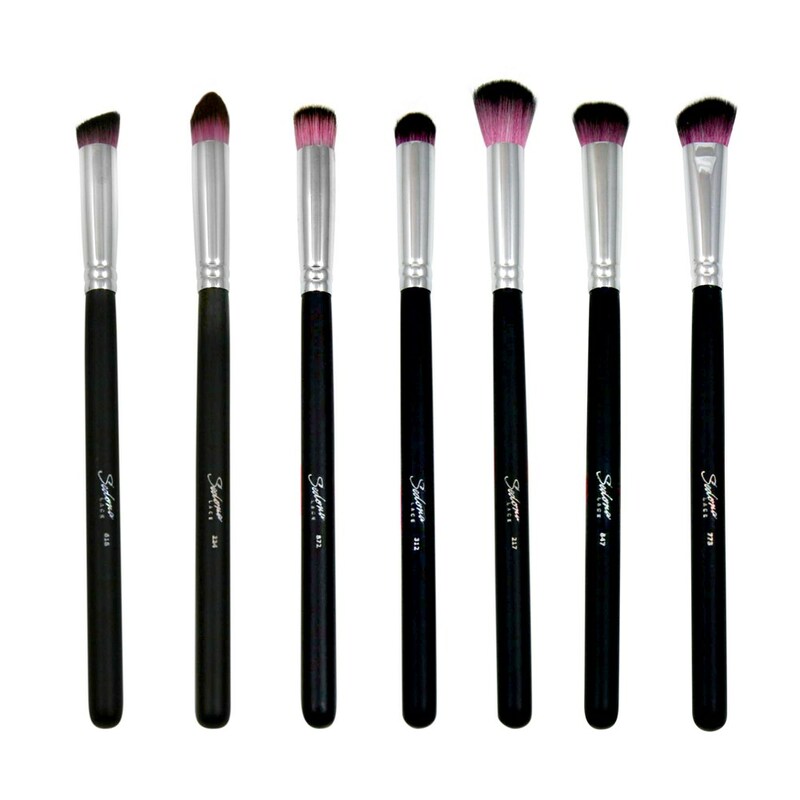 I love these brushes.